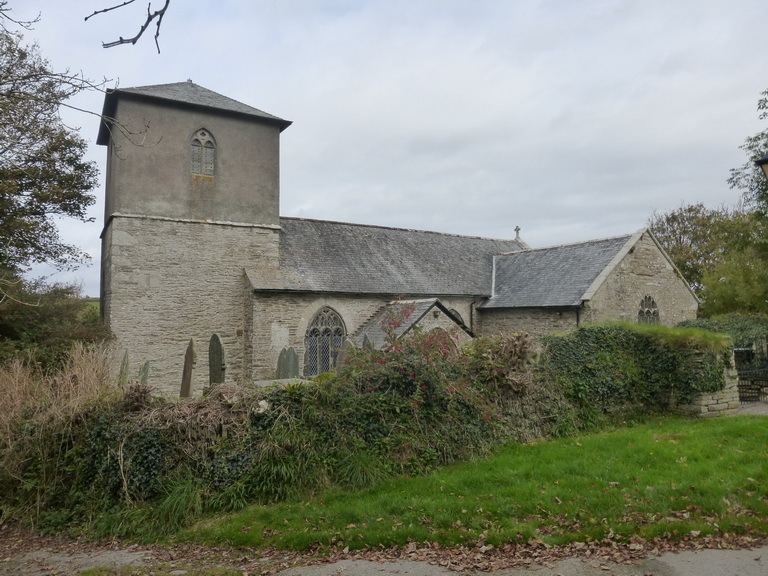 St Ervan stands in a small churchtown, well off the beaten track. From the outside it appears simple and indeed, descending the steps into the church we were struck by the smell of damp and the simplicity of the structure. It consists of a wide nave and two transepts: there is no delicate or graceful arcading. It was heavily restored in the C19 and the top of the tower was even re-constructed in reinforced concrete in 1955, its little hat-shaped roof avoiding the temptation to add any incongruous pinnacles. Pevsner refers to the nave and chancel being ‘conspicuously not aligned’. This is a major understatement as the centre line of the chancel the north west corner of the tower arch. Not even Canterbury or Truro cathedrals achieve such a mis-alignment which is difficult to understand on such a site. A date of 1665 on the outside of the chancel may give a hint. St Ervan is famous as being the church which inspired John Betjeman’s poem ‘Summoned by Bells’. Riding his bicycle JB describes ‘… coasting down / In the cool shade of interlacing boughs / I found St Ervan’s partly ruined church’. (this was of course before the tower was re-built). There is a collection of slate memorials on the walls, many of which may have been moved inside from the churchyard. We delighted in trying to decipher the wording and to relish the inscriptions with their naive poems. Richard Russell is described as a ‘living saint’ although he was, presumably dead by then. He appears to have been a man of many parts: ‘a Learned Scholar, Painfull Labourer, a Faithful Shepheard, True Embassadour’. 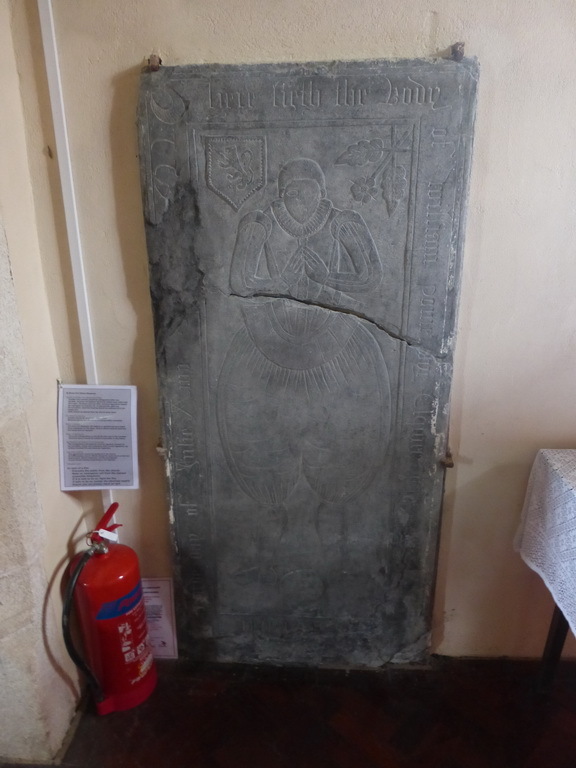 It was hard not to enjoy that of William Pomeroye d1622 with its elongated figure. We should also mention the octagonal C12 or C13 font and the small C15 corbel in the chancel re-used to hold an aumbry. We left, hoping that someone would install a small heater somewhere to lift the feeling of damp.